Birla Mandir is a hindu temple located in Jaipur, India and is part of one of the several Birla mandirs located all around the country. 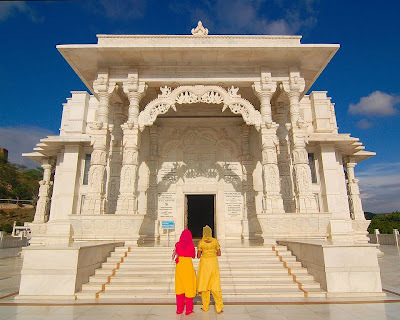 The grand temple is located on an elevated ground at the base of Moti Dungari hill in Rajasthan. 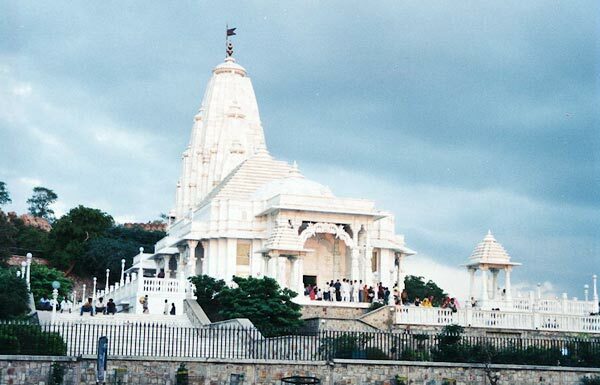 The temple is sometimes also referred to as the Laxmi Narayan Temple. 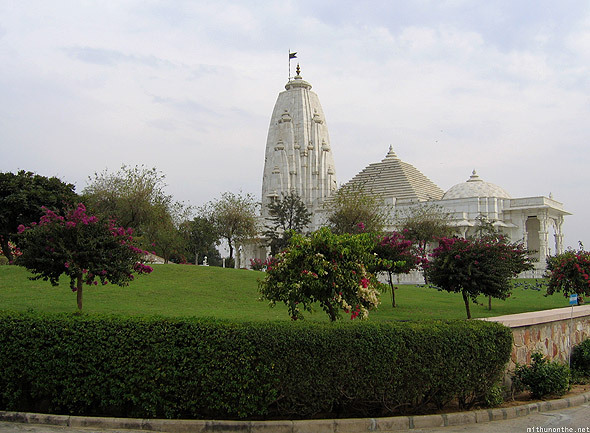 Birla Temple or Birla Mandir is the common name for the Lakshmi Narayan Temple at Jaipur. It is called thus after the Birlas, a business family who constructed the temple in 1988. The Birla Temple stands at the foot of the Moti Doongri (a fortress which was turned into a palace for Gayatri Devi by Raja man Singh II) and the temple's excellent architecture and splendid marble carvings make it a pleasure to visit. 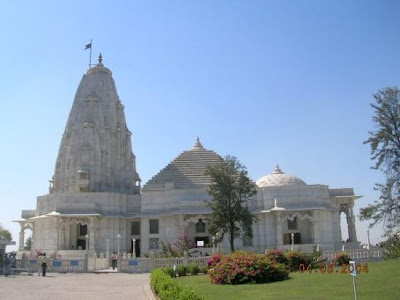 The main idols of the temple are Lord Vishnu (also known as Narayan) and his consort Goddess Lakshmi but the temple has many small shrines devoted to various Hindu Gods and Goddesses. On the outside of the temple walls one can see many carvings of many historic and religious figures. 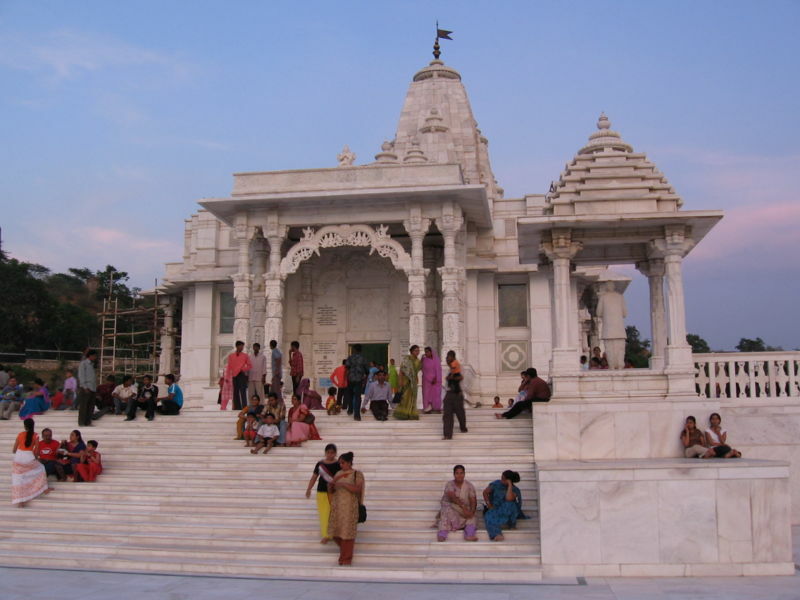 The three marble domes of the temple represent the three major religions of the country. 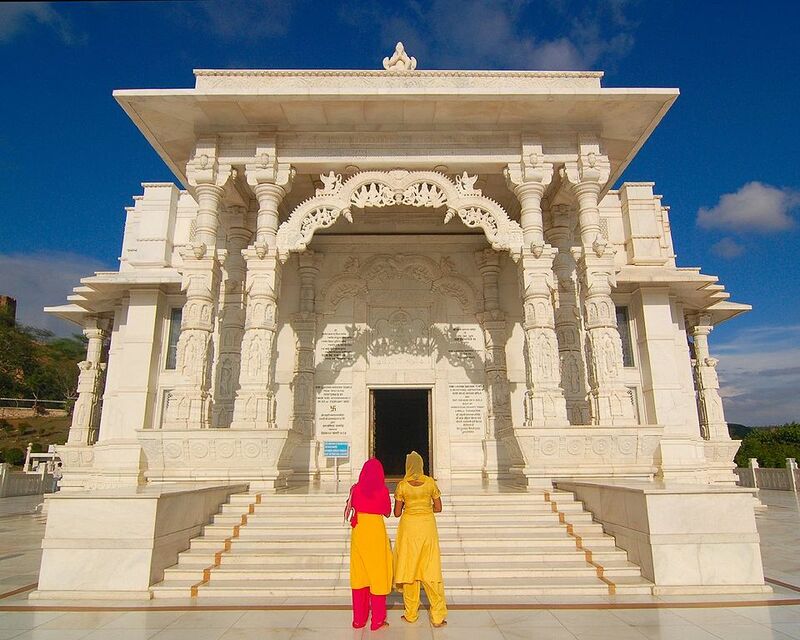 The Birlas have thus attempted to keep the temple out of religious bigotry and made it a place of secular worship. 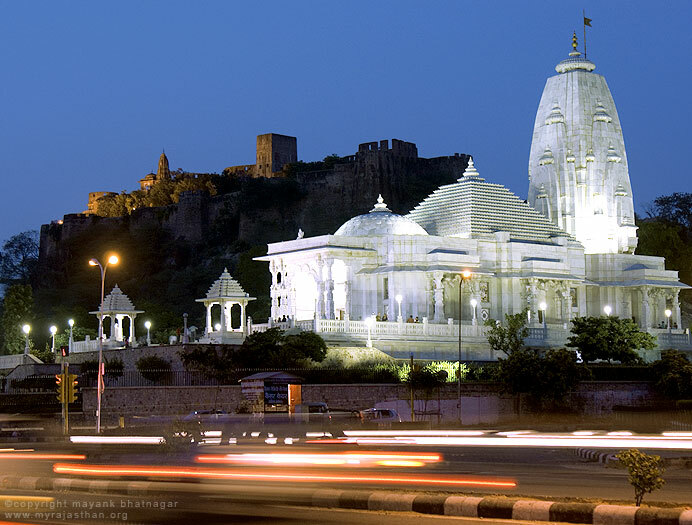 Janmashtami is the best celebrated festival in the temple when it is bedecked in flower garlands and colored lighting. 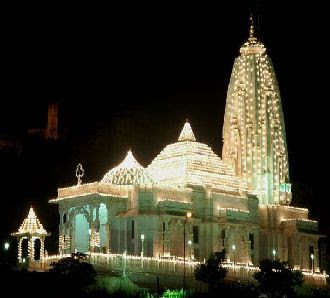 The temple wears and air of cheer and gaiety and special prayers are organized during this festival. The beauty of the white marble structure is enhanced in the moonlight night. The temple is surrounded by a manicured garden and is built on an elevated plane. 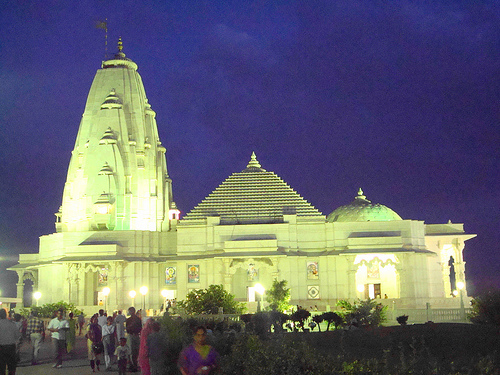 The inner panels of the temple are decorated with paintings of mythological episodes. 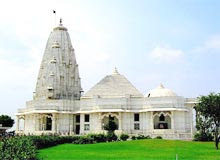 The Birla Temple is one of the major attractions of Jaipur.